Take advantage of the government’s plans to make loans of up to £10,609 available for postgraduate study. The loans are available for any subject and are a contribution to costs including fees and living costs. Worried about repayments? See how much your repayments will be using the calculator. EU students may also be able to get a postgraduate loan for a Masters course at an English university or college. You'll need to have lived in the EU for three years, and will need to live in England while studying. What courses can I use the loan for? The loans are available for taught Masters and research Masters degrees (but not PhDs which have their own funding options). The loans are not available for PGCert or PGDip qualifications, nor are they available for our Graduate Diploma in Psychology or Graduate Diploma in Law conversion courses. They are not available for PGCE initial teacher training courses as eligible students are able to apply for loans in the same way that undergraduate students do. Postgraduate loans will be available for all eligible full-time, part-time and distance learning Master's courses. If you are not studying full-time, you must be studying at a rate that is at least 50 per cent of the full-time course to be eligible for a Postgraduate Loan. For example, if the full-time course is one year long, you may be eligible for a Postgraduate Loan if you take the course over two years part-time, but you will not be eligible if you wish to take a one-year full-time course over three or four years as you'll be studying at a rate of 33 or 25 per cent respectively, less than the government-required rate of 50 per cent. For more details, please visit the government website. How will I repay my Postgraduate Loan? Repayments for postgraduate loans will be 6% of income earned over the threshold. Overseas thresholds are based in Price Level Indices. Repayments are based on your income, not what you borrow. If you study full time you’ll start making repayments the April after you finish or leave your course. If you're studying part time, you’ll start making repayments the April two years after the start of your course or the April after you finish of leave your course, whichever comes first. No repayments towards Postgraduate Loans will be taken before April 2019 and only once your income is over £404 a week, £1,750 a month or £21,000 a year. You'll pay 6% of what you earn over this amount. If you have loans for your undergraduate course you will also repay these loans. If you are repaying both loans you will have a total deduction of 15% of your earnings above the threshold taken from your salary (6% for the PGL and 9% for the undergraduate loan). How much will I repay if I already have loans for my undergraduate course? How much you pay back each month will depend on your income and when you started your undergraduate course. These students will repay 9% of their income over £21,000 towards the student loans they took for their undergraduate course and 6% of their income over £21,000 towards their Postgraduate Loan. This means they will repay 15% of their income over the threshold in total. If they took a loan for an undergraduate course that started after 1 September 1998 but before 1 September 2012 they will repay 9% of their income over £17,335 towards the student loans they took for their undergraduate course and 6% of their income over £21,000 towards their Postgraduate Loan. This means they will repay 15% of their income over the threshold in total. Can I get a loan if I already have a postgraduate qualification? If you have a PGCE/ PGCert/ PGDip you can apply for the loan if you are applying for taught Masters and research Masters degrees and do not already hold an ELQ qualification. Students who started a course in 2015/16 can't apply for the postgraduate loan. Only students who start a postgraduate Masters course in 2016/17 or later (i.e. on or after 1 August 2016) may be eligible for a Postgraduate Loan. Read more from the Student Loans Company (SLC). 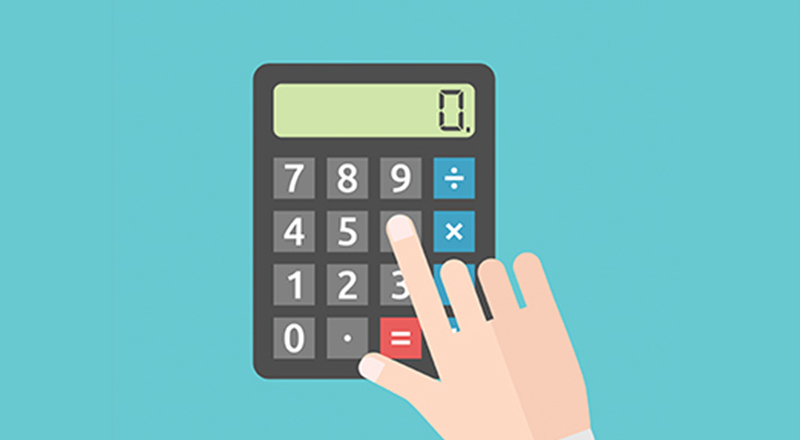 The calculator works out your postgraduate loan repayments by subtracting the repayment threshold for your loan from your suggested salary. This gives the amount of earnings you will make repayments on. The calculator then uses the repayment rate (%) for your loan to work out how much you will have to repay in a year. Finally, it divides this amount by 12 to give the typical monthly repayment amount that would be automatically deducted from your salary by HMRC. Please note that the results given by our calculator are meant as a guideline only. Details of repayment rates and thresholds may be changed. We recommend you double check the details of your postgraduate loan before making repayment assumptions. You can find further details for each UK loan scheme here. You should also remember that the calculator only gives postgraduate loan deductions. You can apply now on the GOV.UK website.